de Luis-Garcia, R., R. Deriche, M. Rousson, and C. Alberola-Lopez, "Tensor processing for texture and colour segmentation", Image Analysis: Springer, pp. 1117–1127, 2005. Martin-Fernandez, M., S. Bouix, L. Ungar, R. W. McCarley, and M. E. Shenton, "Two methods for validating brain tissue classifiers", Medical Image Computing and Computer-Assisted Intervention–MICCAI 2005: Springer Berlin Heidelberg, pp. 515–522, 2005. Casaseca-de-la-Higuera, P., R. de Luis-Garcia, F. Simmross-Wattenberg, and C. Alberola-Lopez, "Weaning from mechanical ventilation: feature extraction from a statistical signal processing viewpoint", Proc. 13th Signal Processing Conf., EUSIPCO, 2005. 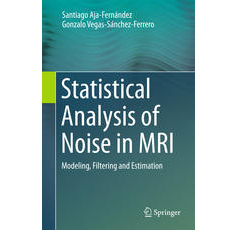 Martin-Fernandez, M., C-F. Westin, and C. Alberola-Lopez, "3D Bayesian regularization of diffusion tensor MRI using multivariate Gaussian Markov random fields", Medical Image Computing and Computer-Assisted Intervention–MICCAI 2004: Springer Berlin Heidelberg, pp. 351–359, 2004. Alberola-Lopez, C., M. Martin-Fernandez, and J. Ruiz-Alzola, "Comments on: A methodology for evaluation of boundary detection algorithms on medical images", Medical Imaging, IEEE Transactions on, vol. 23, no. 5: IEEE, pp. 658–660, 2004. Aja-Fernández, S., R. de Luis-Garcia, M. Angel Martin-Fernandez, and C. Alberola-Lopez, "A computational TW3 classifier for skeletal maturity assessment. A Computing with Words approach", Journal of Biomedical Informatics, vol. 37, no. 2: Academic Press, pp. 99–107, 2004. Garmendia-Leiza, J R., J B. Lopez-Messa, J. M. Andres-de-Llano, C. Alberola-Lopez, and J. Ardura-Fernández, "Diferencias en el ritmo circadiano del infarto de miocardio según su extensión electrocardiográfica", Medicina clinica, vol. 123, no. 17: Elsevier Doyma, pp. 641–645, 2004. Garmendia-Leiza, J R., J B. Lopez-Messa, J. M. Andres-de-Llano, C. Alberola-Lopez, and J. Ardura-Fernández, "Differential circadian rhythms in myocardial infarction according to its extent by electrocardiogram", Medicina clinica, vol. 123, no. 17, pp. 641–646, 2004. Aja-Fernández, S., and C. Alberola-Lopez, "Fast inference in SAM fuzzy systems using transition matrices", Fuzzy Systems, IEEE Transactions on, vol. 12, no. 2: IEEE, pp. 170–182, 2004. Aja-Fernández, S., and C. Alberola-Lopez, "Fuzzy Granules as a Basic Word Representation for Computing with Words", 9th Conference Speech and Computer, 2004. Aja-Fernández, S., and C. Alberola-Lopez, "Hierarchical fuzzy systems with FITM", Fuzzy Systems, 2004. Proceedings. 2004 IEEE International Conference on, vol. 2: IEEE, pp. 767–772, 2004. Tardón-García, L. J., J. Portillo-Garcia, and C. Alberola-Lopez, "A novel Markovian formulation of the correspondence problem in stereo vision", Systems, Man and Cybernetics, Part A: Systems and Humans, IEEE Transactions on, vol. 34, no. 3: IEEE, pp. 428–436, 2004. Martin-Fernandez, M. Angel, M. Martin-Fernandez, and C. Alberola-Lopez, "Automatic bone age assessment: A registration approach", Medical Imaging 2003: International Society for Optics and Photonics, pp. 1765–1776, 2003.
de Luis-Garcia, R., C. Alberola-Lopez, O. Aghzout, and J. Ruiz-Alzola, "Biometric identification systems", Signal Processing, vol. 83, no. 12: Elsevier, pp. 2539–2557, 2003. San Jose-Estepar, R., M. Martin-Fernandez, C. Alberola-Lopez, J. Ellsmere, R. Kikinis, and C-F. Westin, "Freehand Ultrasound Reconstruction Based on ROI Prior Modeling and Normalized Convolution", Lecture Notes in Computer Science, vol. 2879: Berlin: Springer-Verlag, 1973-, pp. 382–390, 2003. Aja-Fernández, S., C. Alberola-Lopez, and J. Ruiz-Alzola, "A fuzzy-controlled Kalman filter applied to stereo-visual tracking schemes", Signal Processing, vol. 83, no. 1: Elsevier, pp. 101–120, 2003.